Downton Abbey has given us all an appetite for life below stairs. The ultimate behind-the-scenes look would be those servants in service to a monarch amiright? That’s what I thought I was getting with Serving Victoria: Life in the Royal Household. I imagined Kate Hubbard giving us access to the maids and butlers and valets, in thrall to the longest serving Monarch in British history. That there would be Carsons and Daisys and Mrs Patmores. That we’d find out all the gossip about the august royal personages from those tasked with looking after their more basic and bodily needs. Alas, like when I picked up a book supposedly about regular people during the Tudor period, Serving Victoria was more concerned with those in more senior positions within the household: ladies-in-waiting, personal secretaries, ladies-of-the-bedchamber, physicians and deacons. Basically the lives of the paid companions of Queen Victoria only insofar as they affected Queen Victoria. It’s not that it wasn’t an interesting read. It was. Well-researched and executed it was an extremely interesting book, full of little tidbits about a bunch of different Royalties. It just wasn’t what I expected. But again, these are the lives that are documented aren’t they? The folks with the level of education needed to serve the Queen in their individual capacities, those that were able to read and write. The below stairs servants likely didn’t leave anywhere near their level of record behind to make research possible. The early years, when we get to know the nursery governess were good. Sarah Lyttleton provided insight into the psyches of and treatment of the royal children from the start. The Princess Royal was very much her father’s daughter, brilliant and precocious and bored until the found her a tutor that was better able to challenge her. But the poor Prince of Wales was from the start always thought to be lacking in judgment and intelligence, early opinions that really set him on a course of assuming he’d disappoint before he ever got started. 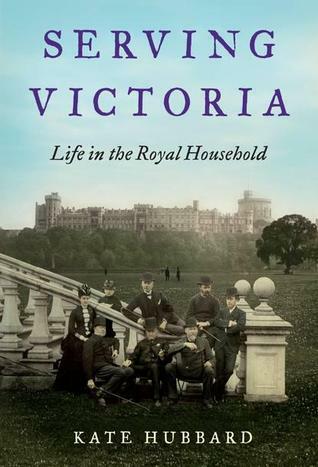 Having read a variety of books about Queen Victoria and her various relations, I get a sense that depending on when and how you knew her, she was very different to different people. There were very few that she trusted enough to be her full self, and especially after the death of Prince Albert she clung to those that she felt capable of relaxing with and talking to almost as an equal. In her early years she was easily amused and liked to play silly games and gossip, although once she married she tended to defer to her husband in most things. After he died, she spent a lot of time marking anniversaries of the deaths of everyone around her. And since she outlived a lot of her children and contemporaries, this really took over her life. The people that served her found it exhausting. I’d never really thought about how tiring it must have been to have to hang out with a Monarch and spend a lot of your time waiting for her to decide what you were going to do that day. She hated when her ladies-in-waiting had the nerve to get married but woe to the men in her life if they should decide to get married. Her doctor had served her for over 20 years and was nearing 50 when he decided to get married and she wouldn’t allow it to go ahead for months. If nothing else, seeing the life of Queen Victoria through the eyes of those that waited on her is a new way of seeing that epoch of history. It’s a massive amount of time and things changed so much that it may surprise you to hear that it’s only 364 pages long. Hubbard has done an admirable job of boiling down the lives of these faithful folks to only the most salient details.